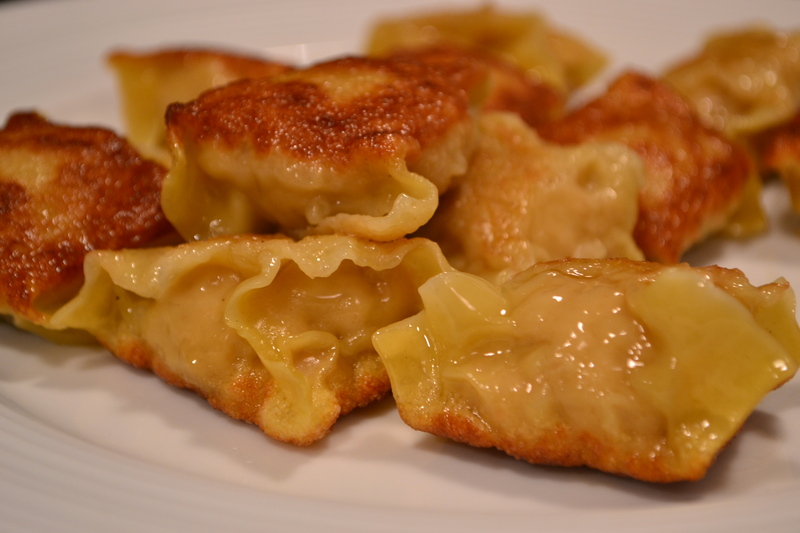 Pot Stickers are crispy, soft, salty, spicy and indulgent! Pot stickers are one of the culinary wonders of the world, not only are ridiculously tasty they are fantastic fun to make – they are fried AND steamed all in the one pan – this is theatre so if you’re having people over gather them around your hob and freak them out with this crackin’ way to fry/steam these little babies! 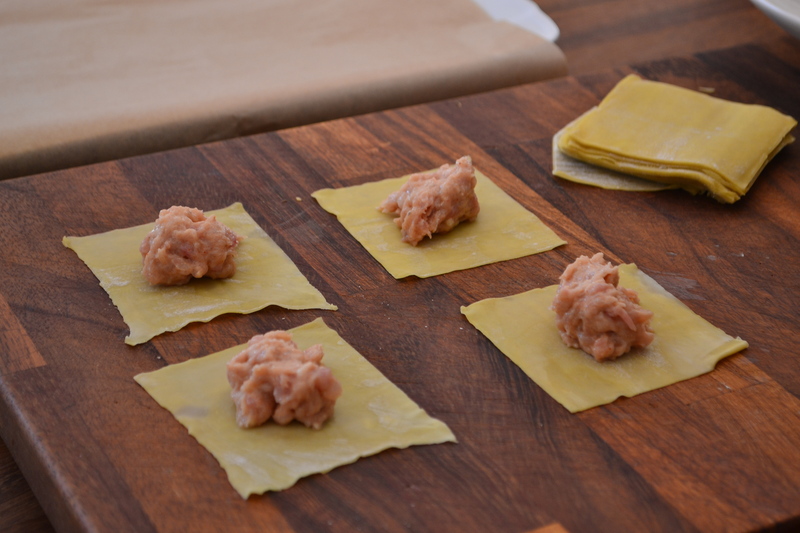 Step1: Kick off by making the Prawn and Chicken filling – drop all of the ingredients (except the wonton wrappers) into a blitzer and wazz to a rough paste. To check the seasoning just take a small teaspoon of the mix and nuke it in the microwave for a few seconds – this is the only opportunity to check it so season until you are happy before wrapping things up. Step3: Next up is the fun bit – heat up a wide frying pan with about 2 tbs veg oil and get it spitting hot. 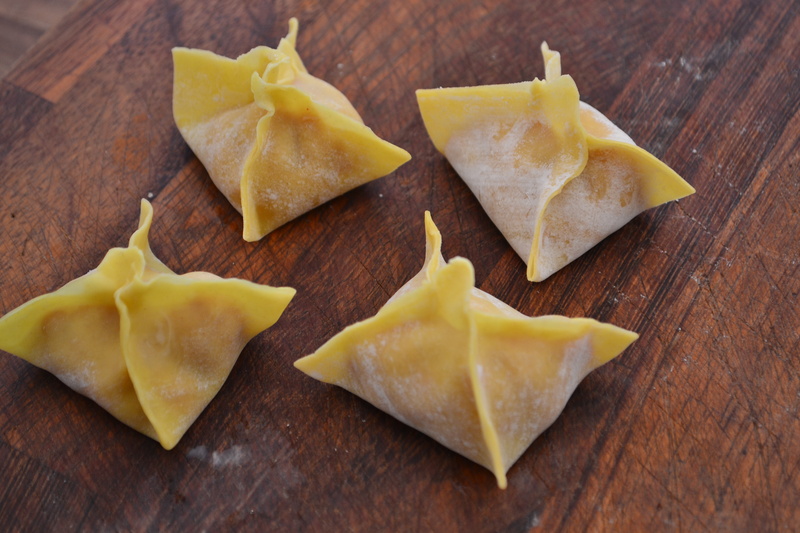 Drop in the wrapped dumplings and brown on one side only – then sling in about 100mls of boiling water – be warned things get pretty funky now so stand back and cover the pan with a wide baking tray to create a steamer. Step4: Simply leave the pot stickers in the pan until the water boils off completely – your pot sticker should now be done but just cut into them to check. Serve with sweet chili sauce or just some simple soy!